So you do love watching the Oscars? 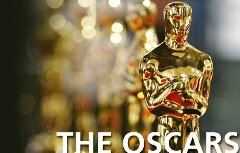 With the rise of social media platforms like Twitter, you can now not only watch the Oscars, but you can actually see what people are saying about the Oscars in real time. That’s why I’ve built a live Twitter news stream of the Oscars. Just watch the live Twitter stream below to see what people are saying about the Oscars in real time – it’s sure to be as entertaining as the actually Oscars themselves.